FINANCE minister Margaret Mwanakatwe has announced July 1 as the new date for the commencement of the Goods and Sales Tax (GST) after failing to meet the earlier deadline of April 1. Mwanakatwe says it was envisaged that the process of preparing for the abolishment of the Value Added Tax (VAT) to pave way for the implementation of the sales tax would be completed in the first quarter of 2019. Mwanakatwe told Parliament in a Ministerial statement today that significant progress had been made and the draft for the new sales tax Bill had been concluded and would be presented in the house for first reading on 2nd April 2019. She said it is intended that the 2nd reading and the finalisation of the Bill by the house will be done during the June session. And the Zambia Chamber of Commerce and Industry (ZACCI) has hailed the decision by the government to defer the implementation of Sales Tax to July 1, 2019. ZACCI President Michael Nyirenda said there was need to have more discussions over the issue. 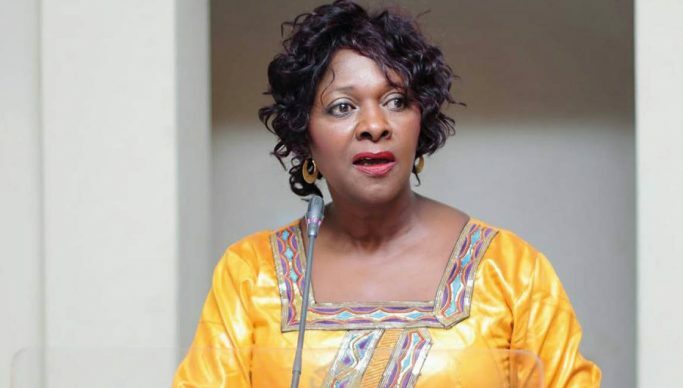 Nyirenda said various stakeholders had a meeting with the Ministry of Finance officials this month over the same and that it was discussed that introducing it on 1st April 2019 was not attainable. He added that Zambia should also learn lessons from other countries that are implementing this tax policy. Nyirenda has also observed the need for the stakeholders to know the rate of the Sales Tax as it helps in planning. Meanwhile, the Patriots for Economic Progress (PeP) has suggested that instead of completely abandoning VAT and adopting Sales Tax across all sectors of the economy, the Government should consider making such a reform specific to the mining sector only. PeP president Sean Tembo said that alternatively, a fourth category of VAT suppliers can be created in addition to the three existing categories of standard rated, exempt rated and zero rated. Mwanakatwe said that during the intervening period, the Bill will undergo further consultations with all other players. She emphasised that this being a new law, government did not want to leave any stone un turned and remains committed to implementing a simplified non-refundable tax regime that would provide a win-win situation for both government and the businesses. Speaker of the National Assembly Dr. Patrick Matibini directed Mwanakatwe to issue a Ministerial statement to update the house and the nation as a whole on the status of the sales tax. Matibini was rendering a ruling on a point of Order raised by Chembe Member of Parliament Sebastian Kopulande who wanted to know when the Bill that introduces Sales Tax will be presented to parliament.